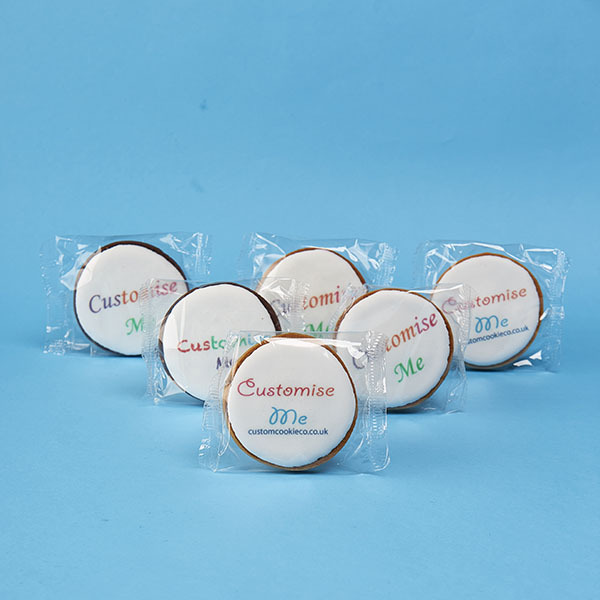 If you’re looking for promotional cookies that have the wow-factor, our logo premium print iced cookies are the perfect solution. 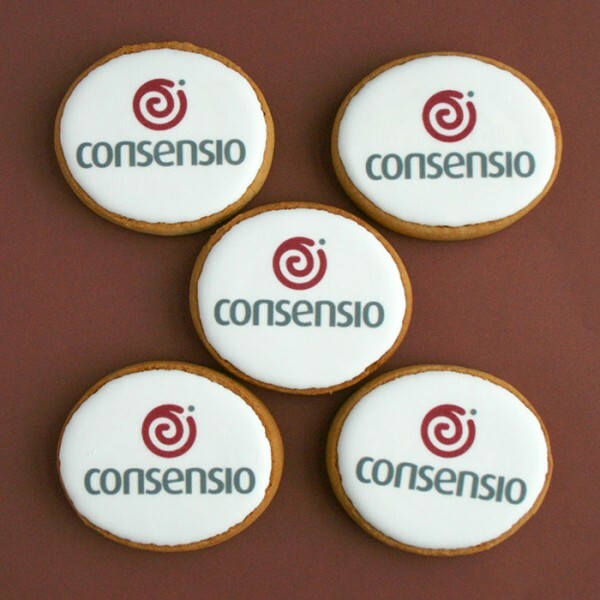 Individually wrapped for freshness, these cookies flawlessly present your company logo in cookie form, accompanied by some delicious icing to really make your logo stand out. If you have a larger budget or throwing a small scale event, these logo premium print iced cookies are the perfect party favours. Choose from round, square or rectangle cookies and then vanilla, chocolate, ginger or a mix of all flavours and we’ll do the rest. We then individually wrap each cookie to seal in the freshness. a) Chocolate Brownie - cakey texture, rich chocolately taste. b) Real vanilla (made with Bourbon Vanilla Extract) - semi soft with the flavour of natural Vanilla c) Ginger - soft & cakey with a ginger kick. 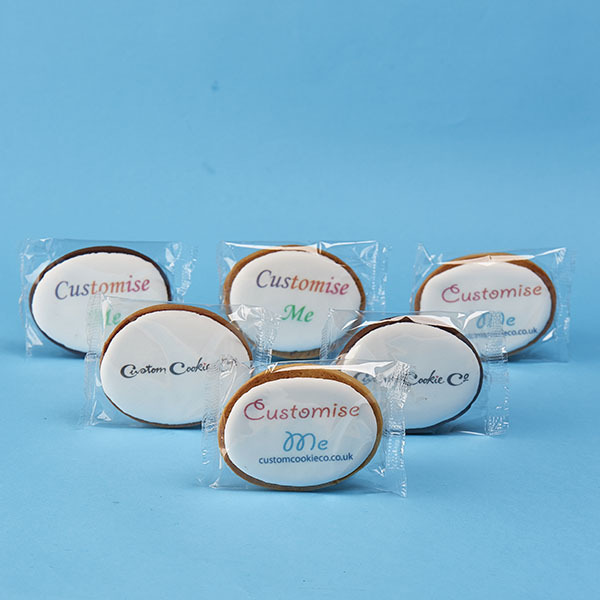 Event cookies are made in your choice of flavour or flavours.